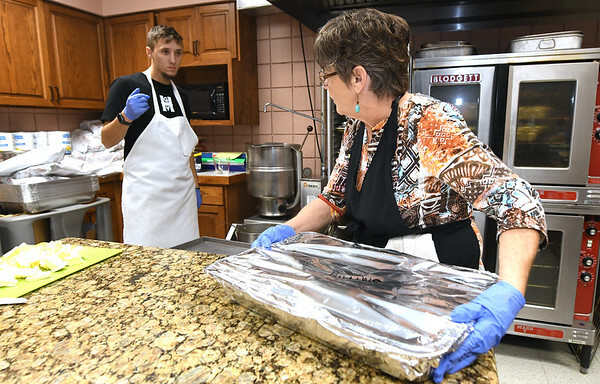 From the left: Evan Belk and Gayle Warren map out their strategy as they prepare for the annual Thanksgiving feast on Thursday at First United Methodist Church. Belk has volunteered at the meal since it began 20 years ago- when he was just four years old. Warren is volunteering for the 17th year.